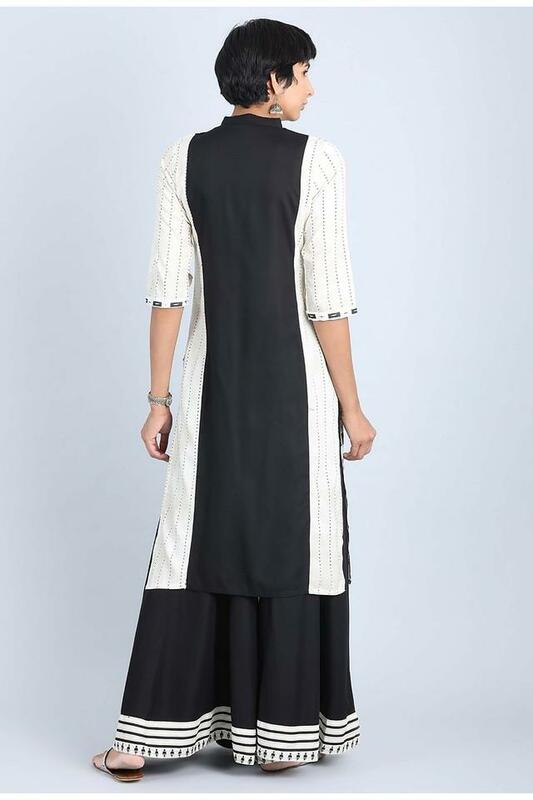 Embrace the perfect amalgamation of style and comfort by wearing this kurta from the house of W. It has been crafted with care using a fine quality fabric which makes it pretty comfortable to wear. Besides, it flaunts a printed pattern that lends it a distinct appeal. Experiment with style by wearing this kurta that comes with a printed pattern. For casual occasions, you can club it with churidars and heeled sandals to flaunt your taste in fashion.